The caravan started almost 4,500 kilometres away, in Honduras – where the vast majority of its members originate – but its numbers have grown as it has travelled north, with people from El Salvador, Guatemala and Nicaragua joining. Most of the people are fleeing extreme poverty, gang violence and a lack of employment. The caravan provided an opportunity to travel with others, providing safety in numbers. 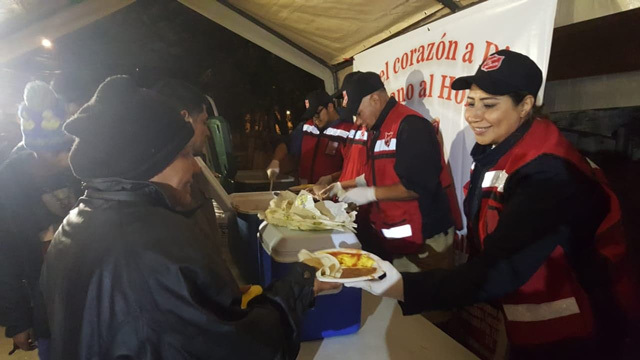 Along the way, local communities – including some Salvation Army centres – have provided food, drink and shelter. Most of the migrants plan to seek asylum in the USA, but almost 1,800 of the original group have already sought asylum in Mexico. Donors wishing to support The Salvation Army’s Americas and Caribbean Disaster Fund can do so securely online.